Today I visited the “Light Up A Life” Hospice Tree in the Koslosky Center to see what it’s all about. Valley Hospice Resources is working to build support for compassionate end of life care and have a hospice house in the Mat-Su Valley. 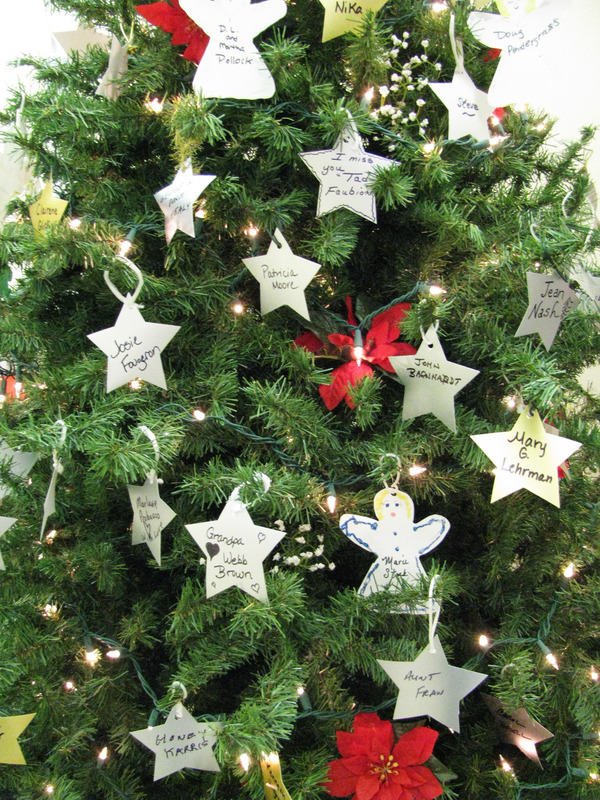 To support their effort, come donate by purchasing an angel or star to remember a loved one. The tree will be available in the Koslosky center through the weekend from 10am until 6pm (7pm on Saturday). You are also invited to attend the Gathering of Remembrance at the Palmer Train Depot January 8th when all the names will be read.